Welcome to beinsportplay. This site shares information which would be of crucial interest to any soccer fan looking to explore different soccer leagues. Soccer, referred to as football in other countries enjoys enormous popularity. 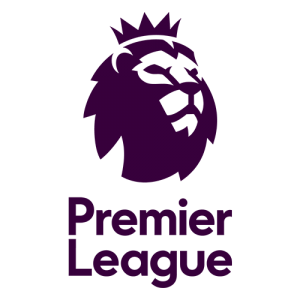 Content shared on this site seeks to broaden your understanding of Europe’s top footballing leagues. You can also find some information on other leagues outside Europe, such as the MLS. The EPL is a top tier in English football. Some of the best players and managers have practiced their trade in England. Renowned soccer managers such as Arsene Wenger, Rafa Benitez, Sir Alex Ferguson, Jose Mourinho, Harry Redknapp, Jurgen Klopp, and Carlo Ancelotti have made a massive contribution to English football. Soccer infrastructure and money invested in the EPL has made it easy for football clubs to attract top talent, and this is one reason why it is better than other leagues. The Primera Division, better known as the La Liga to English speakers, is the top tier league in Spanish Football. La Liga is known for free-flowing soccer, and it has also produced two powerhouse teams who have dominated European football in recent years: Real Madrid and Barcelona. For more than ten years, the world’s best players have played in the La Liga: Lionel Messi, Ronaldinho, Cristiano Ronaldo, and recently Luca Modric. Notably, most of the best players, based on FIFA ratings, have practiced their trade in the Primera Division. Serie A is the best league in Italy. It contains some of the best teams in Europe. Juventus, Inter Milan, AC Milan, and Napoli among others have enjoyed massive success on the continental front. Some of the best players in the history of football such as Wesley Schneider, Fabio Cannavaro, Zlatan Ibrahimović, and Andrea Pirlo played in the Serie A. Despite some controversy in the past, the success enjoyed by Serie A teams in recent years shows that they are on track to reclaim the lost glory. The Bundesliga is Germany’s top-flight league. Though a relatively young association, formed in 1963, it enjoys incredible support. Its major attraction lies in the beauty and passion of their game. Notwithstanding, their fan-filled stadiums, which averages at over 40000 supporters per game, explains why German soccer is a force to reckon with. With top managers and players, soccer fans ought to make an effort and enjoy soccer made in Germany.